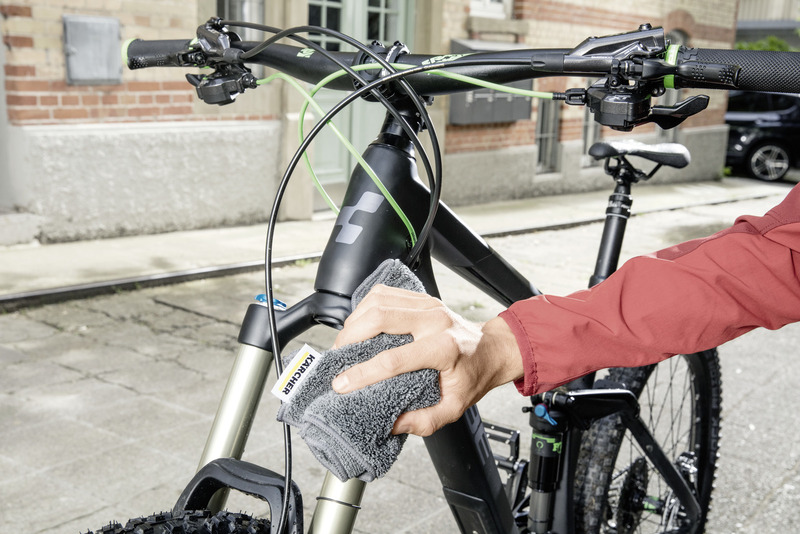 Bike box 26438580 https://www.kaercher.com/tn/accessory/bike-box-26438580.html Bike accessory box with optimally adapted accessories for cleaning bicycles and bicycle equipment. 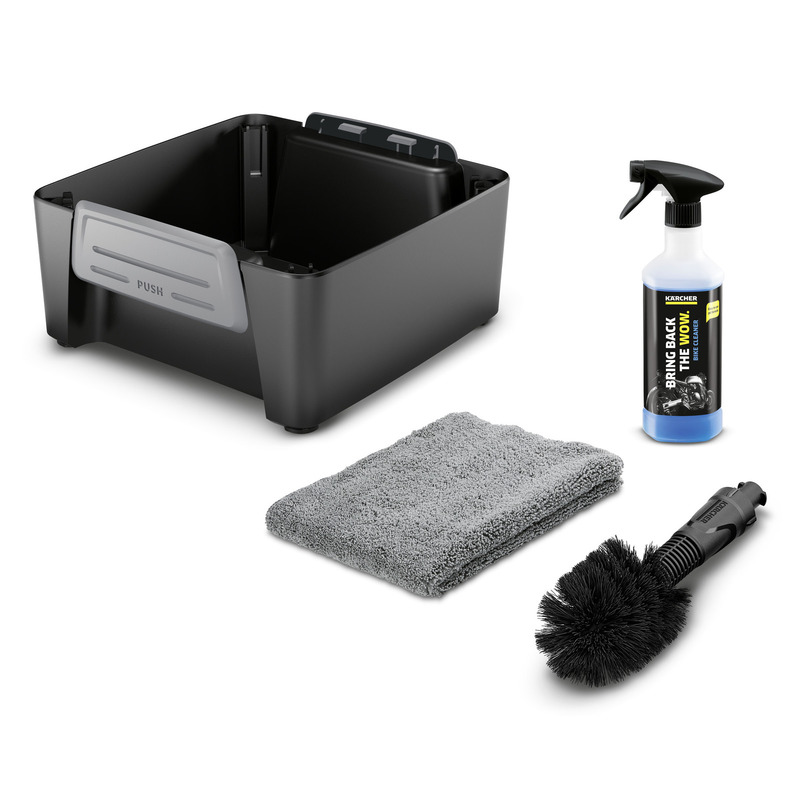 Bike accessory box with optimally adapted accessories for cleaning bicycles and bicycle equipment. 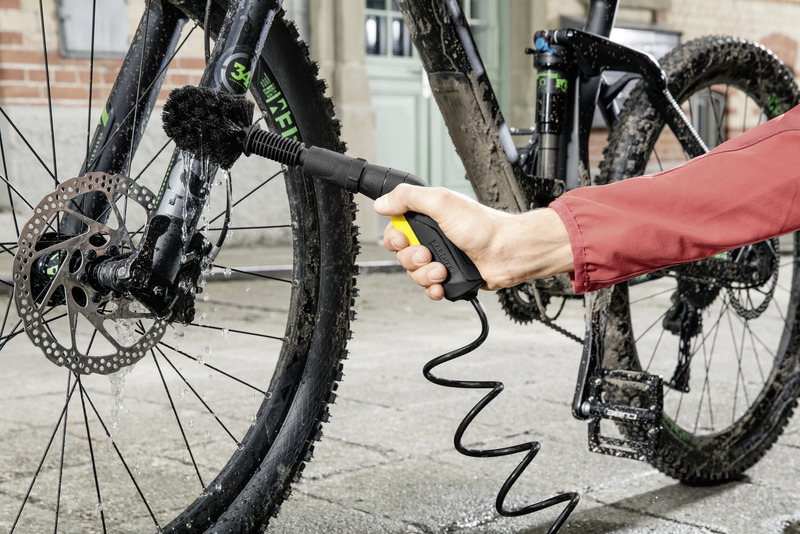 With optimally adapted accessories in the bike accessory box, you can clean bicycles and bicycle equipment gently and thoroughly. The universal brush with soft bristles can be attached to the trigger gun and removes stubborn dirt. With the detergent, you can remove the kind of dirt typically found on bikes, while protecting delicate components. And with the high-quality fleece microfibre cloth, the cleaned objects can then be dried before they are stored. The supplied box is used to store the accessories and can be attached to the bottom of the pressure washer.